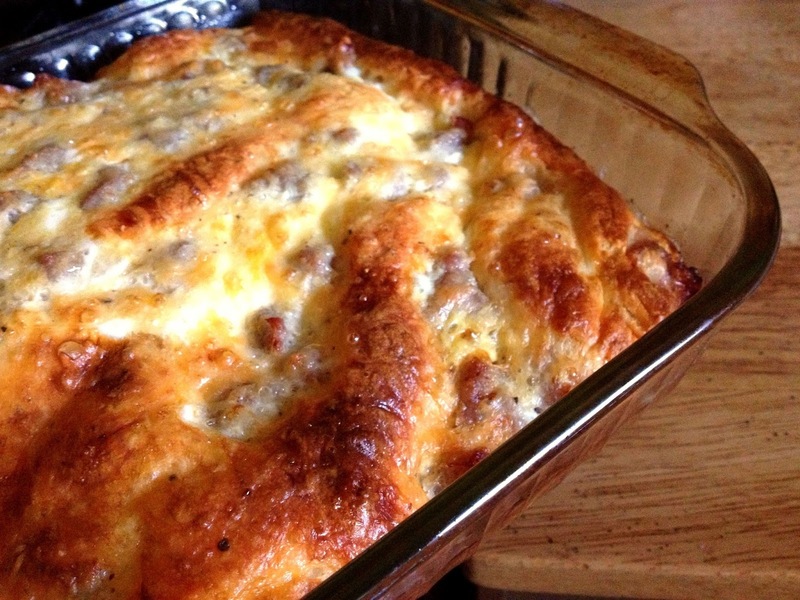 This breakfast dish is something of a legend in my husband’s family. Mom in the title refers to Debbie, Steve’s mother. And though she freely shares the recipe with anyone who asks, it will always remain hers. 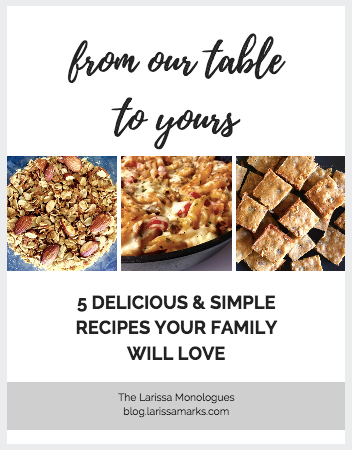 One bite of the egg bake, and you can just feel all the motherly love and devotion that she pours into her family. It is hands down the most requested breakfast item whenever we visit my in-laws in Lodi, California. The egg bake is beautiful in it’s simplicity. Eggs, breakfast sausage, croissants, all topped with gooey melted cheese. And despite the fact that we have eaten this dish over and over, we still exclaim at its deliciousness every time we take a bite. Preheat oven to 425 degrees. Grease a 9×13 baking pan. Lay croissant wedges flat on bottom of pan. Crumble breakfast sausage into pieces, and layer on top of croissants. Sprinkle cheese on top. In a mixing bowl, combine eggs, milk, salt & pepper. Whisk together, and pour into pan. Bake for 25-30 minutes.